The SS127 is a "sit/stand" fishing kayak from Bonafide that promises to offer "Ultimate Fishability" which is basically marketing speak for "stable fishing kayak." Thankfully, it is not just marketing speak as the SS127 also delivers on this promise with plenty of angling specific features that will appeal to fishing enthusiasts. In terms of dimensions, the SS127 measures in at only 12 feet and seven inches, but even with its width of 33.5" is is exceptionally stable. It is this stability that ensures that the SS127 is not just a sit-on-top kayak, but also one where you can stand and fish with ease. For those who do prefer sitting, the SS127 doesn't disappoint, thanks to its HiRise kayak seating system. It has a very high-back seat that enables anglers to sit in such a way that the pressure is not on their lower back, which means you are able to stay out on the water for longer. Of course, it is also possible to convert the seat to a lower position when it is time for some serious paddling. 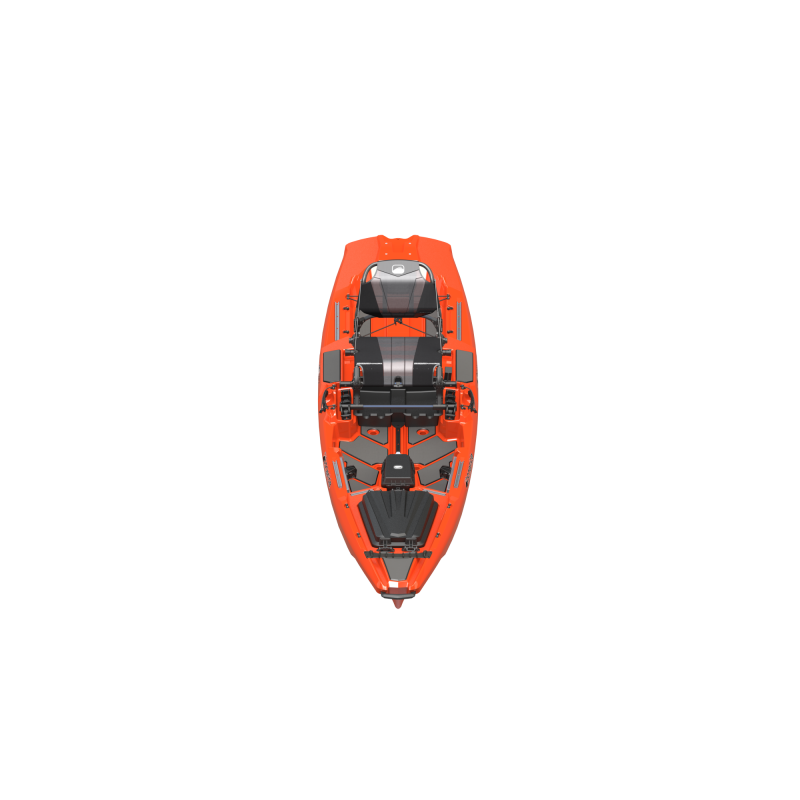 A lot of times with fishing kayaks, the stability comes at the cost of speed or tracking, but this is not the case with the SS127. 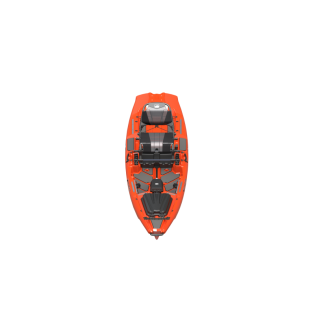 Even the turning capabilities of this kayak is impressive, so you really are getting a total fishing package. Bonafide uses rotomolded polyethylene for the hull material of the SS127, so you are looking at a total weight of 94 lbs with the seat or 85 lbs without it. It does however have the capacity to handle up to 475 lbs. The SS127 comes with a multitude of features that make it enticing to anglers, such as the DryPod with transducer through-hull scupper, Boss Strap rod management system, YakAttack Aluminum GearTrac, PerchPads for additional standing position on top of the gunwales, and much, much more. The dual entry hatch on this kayak is incredibly useful and it even has a junk drawer that slides under the seat where you can store all your loose items. Bonafide is a newcomer to the kayak angling industry, so only time will tell whether you have what it takes to compete with the big guns, but with the SS127 they have really come out of the gates firing on all cylinders.